When one considers car magazine subscriptions in South Africa, there is only one publication that comes to mind, and that is in fact Car Magazine. It is one of the longest serving publications within the motoring industry and has a proud reputation for bringing the latest in motoring. From the hottest vehicle releases, to the latest car gadgets to motor-shows worldwide, Car Magazine has it all. You might wonder why it is worth subscribing to this publication when it is easier to walk into your nearest retailer and buy a copy for yourself. Or, why bother with the publication at all because you can get all of the information on the Internet. You may like scouring the World Wide Web for the latest news and trends within the motoring world but what you may not get is that incredible exclusive. This is because top publications like Car Magazine have terrific relationships with the vehicle manufacturers. They have made it their business to have great relationships with them and the top motoring journalists, so that they will get the exclusive before it gets out. Copy for copy, you will pay more at any local retailer you shop at. There will be no point in shopping around looking from one retailer to the next. By securing a 12-month subscription or more, you benefit from economies of scale and Car Magazine subscriptions will come cheaper to leave a smile on your face and in your wallet. From time to time, Car Magazine will put together a really nice deal for their subscribing customers. This serves both purposes for the publication. They are able to secure more customers on the one hand while being able to reward their existing customer base. On top of the fact that you will be making a killer saving, you will receive benefits as well and this adds up to be a pretty sweet deal indeed. 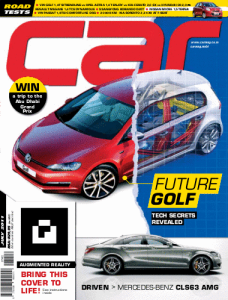 Car Magazine has its own website, www.carmag.co.za, and they will release information on there as and when they need, but they will always do so after their publication is out. On top of this, they will only release certain articles or exclusives within their publications and these will not feature online at all. And as a subscriber you will share in this benefit. There is nothing like having the feel of a magazine in your hand, or being one of the first few to have access to the latest in the motoring world. If this tickles your fancy then look no further than Car Magazine subscriptions to securing the best in motoring.